We already know the 2019 BMW 8 Series is going to sound good, but we only had a vague idea if it looked good. 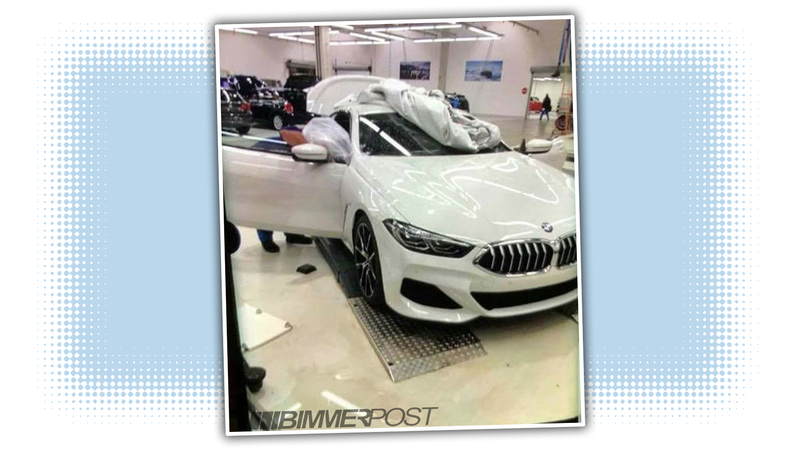 Pictures have now leaked on BMW site Bimmerpost.com, however, and we can see it in much of its glory. If I’m not mistaken, this 850i is also an xDrive all-wheel-drive example as well. We’re likely also getting a four-door 8 Series “Gran Coupe,” as BMW likes to call them, and hopefully we’ll be getting a V12 like the BMW 850i from the days of yore. Hell, we’re already getting an M8 GTE race car, so I don’t see why not. Rumor is that the new 8 Series will go on sale this summer, so expect a Geneva Motor Show or New York Auto Show debut, if it is going to hit the show circuit. Head on over to Bimmerpost for more.